Speakers include elite innovation, HR, and digital transformation leaders along with inspirational figures from sports and entertainment. Takes place May 1st & 2nd, 2018 in Brooklyn, NY. HR Uncubed captures the future. Uncubed’s annual HR leadership conference returns with a high-profile, diverse lineup of content, an expanded format, and additional professional development accreditation. HR Uncubed takes place on May 1st and 2nd, in Williamsburg, the creative heart of Brooklyn, at the newly-opened Williamsburg Hotel, the Wythe Hotel, and other nearby venues including the Brooklyn Brewery. The core themes of the 2018 event cover the most pressing HR and talent acquisition issues for companies today including: leveraging AI and data, diversity, equity, & inclusion, building a winning employer brand, and candidate experience for next-gen talent. In addition to creative venues, HR Uncubed pairs some of the most accomplished leaders from industry with speakers from other backgrounds, including basketball legend, media personality, and motivational speaker Jay Williams, a top NBA draft choice who suffered a career-ending accident and is the author of the book: Life Is Not an Accident: A Memoir of Reinvention. The number of attendees is scheduled to increase by more than 100% over 2017, positioning HR Uncubed as a preeminent HR leadership conference both in New York and in the US. New content tracks in 2018 include dedicated sessions on digital transformation and also for university professionals seeking to better understand the mindset of the most progressive employers. Uncubed now maintains both SHRM and HRCI accreditation and attendees will be eligible for qualifying professional development credits in accordance with governing standards. Participants can expect to increase their understanding of how to build and maintain world-class teams in an environment where AI and data, candidate experience, employer brand, and diversity, equity, inclusion represent both today’s biggest opportunities and challenges. 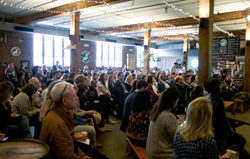 Uncubed encourages anyone who plays a significant part in the talent acquisition, talent development, employer branding, or digital transformation process for their company to attend HR Uncubed. It’s a highly-relevant learning and network opportunity for both growth stage companies and established corporations executing digital transformation strategies. Conference passes start at $999 per attendee and include access to two days of content including keynote addresses, along with food and other refreshments. The headline sponsor partner for HR Uncubed 2018 is IBM. To view the full speaker list and conference schedule, or to purchase conference passes, please visit http://hr.uncubed.com. For bulk ticket rates (3 or more), or to inquire about conference sponsorship, please reach out to sales(at)uncubed.com. Uncubed is a next-gen talent platform, offering a video-first job board along with a full range of tech-enabled services for building employer brand, attracting top talent, and digital transformation. The Uncubed software platform delivers pioneering content and talent acquisition analytics and access to high-quality candidates across skillsets. Uncubed works with both growth stage startups and innovative Fortune 500 companies including IBM, United Technologies, Peloton, Letgo, and more. To learn more about Uncubed, please visit http://www.uncubed.com.